If you have photos from when you were a kid or from when your parents were kids, those printed photos were kept because they are probably the best representations of our happiest moments. They are our memories. But unless we or our parents were scrapbookers or really organized, there's a good chance that all we have from those moments are pictures. What about the stories behind the photos? It would be great if we could capture those so we can really enjoy the photos and the memories. 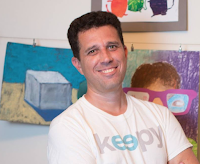 Most of the time the Keepy app is used to organize and save kids’ memories and to collect voice and video comments by grandparents and other family members. But over time we observed a different use for Keepy. It also encourage families to organize and save memories and stories by other family members. Keepy offers the option to actually collect the stories behind your family photos. As a result your whole extended family can declutter their photos together. 1. Scan your photos using Keepy. The Keepy app leverages a unique technology which lets you crop the photos in a skew mode which makes them flatten. You can also use the Google Photo Scan app to scan the photos. It is very important to take the time and make sure that the photos you scan are being saved in a high quality resolution, so don’t count only on the idea you shared the photo on social media. Once your photos are scanned into the Keepy app, you can share them privately and securely with other family members so everyone can enjoy them. 2. Exchange memories. 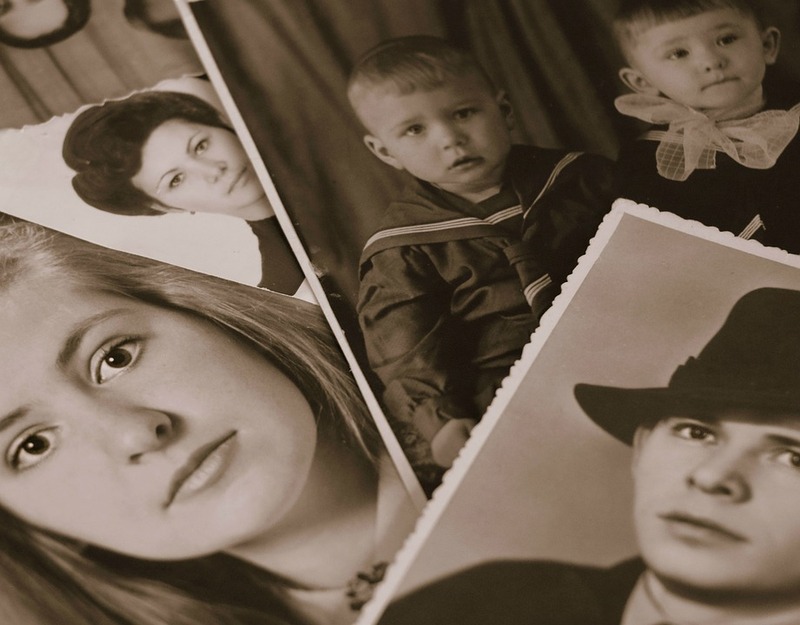 Your extended family members likely have photos that you may not have of special events or people in your family. Using the Keepy app, you can have a holiday photo exchange and fill in gaps in your photo collection. This holiday season, encourage family members to bring their favourite photos to your family gatherings. If you have a scanner and a photo printer handy you can scan and print photos for each other. Or simply use your phones to add your favorite photos and memorabilia to the Keepy app so everyone has access to the same memories. When you scan and save a photo using the Keepy the app, the photo will be shared with everyone you invite. 4. Answer questions raised by the kids. Since Keepy is built as an intergenerational platform for families, it is a great opportunity for parents to give the phone with the app to their kids and let them ask question using the video commenting feature, and then let the grandparents and other family members answer those questions. It is a great way to for grandchildren to stay in touch with their grandparents and they will have those precious videos long after their grandparents pass on. 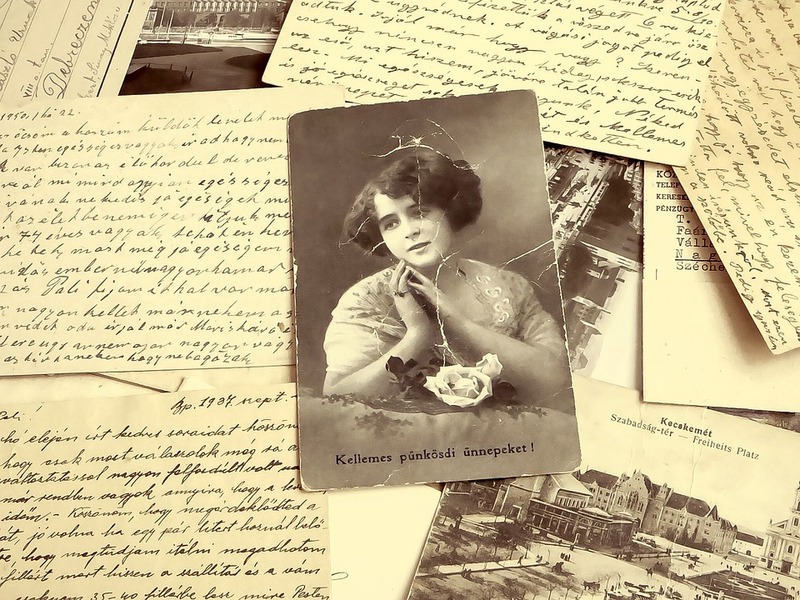 It is really important to decutter and digitize photos, but doing them while collecting the stories turns them into true memories for your whole family and for generations to come! If you'd like to try Keepy, you can download the app for free. The app allows you to upload 7 photos per month. If you'd like to upload unlimited photos, there is a reasonably priced paid subscription, which you can cancel at any time. And, to celebrate all the decluttering you've been doing this month, Keepy is offering a 25% discount to From Overwhelmed To Organized readers! This is applicable to all print products ordered in the next two weeks, including photobooks. Just enter the discount code 31DECLUTTER when you check out. Offir Gutelzon is the proud papa of Liran, Amir and Keepy. As a serial entrepreneur, Offir has worked with several startups - creating their vision as well as software and hardware solutions. Offir lives in Palo Alto, CA and always looks for the next innovation which will make parents' lives a little bit easier. Today I decluttered some digital photos. I deleted 38 photos, which was 48% of the photos I went through. I was hoping to do more, but as always, every little bit helps! With 40,000+ photos, digital pics will be a long-term decluttering project for me, beyond the end of this challenge. 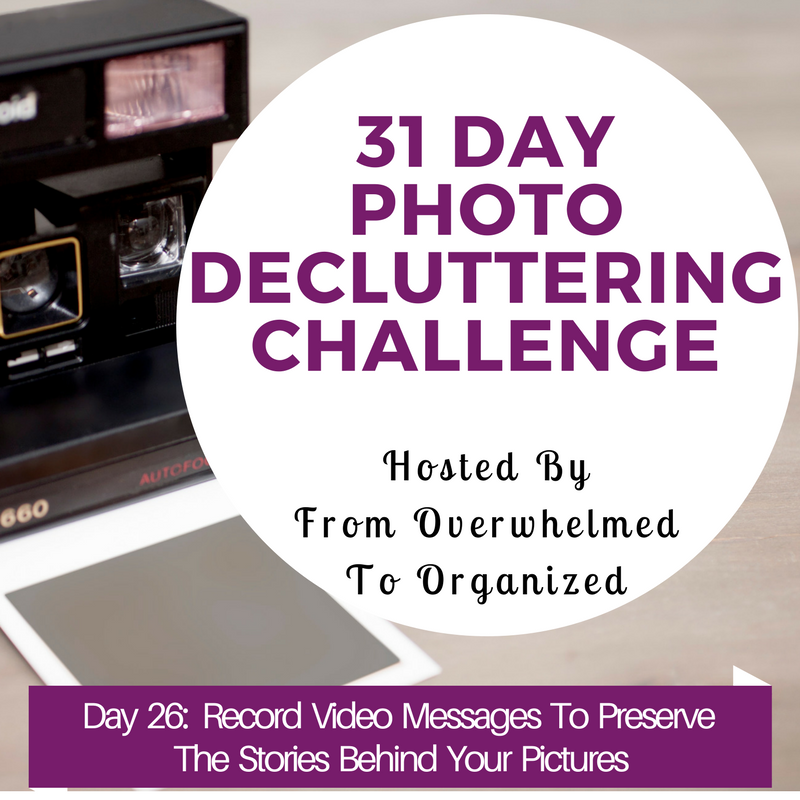 How are you doing in the 31 Day Photo Decluttering Challenge so far? How do you think today's tip will help you? 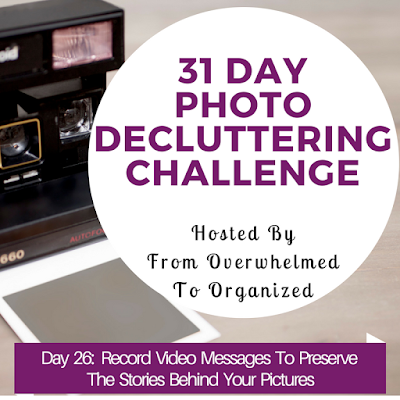 What photos are you decluttering today? Have you used the Keepy app? How could the video feature help tell the story of your photos?